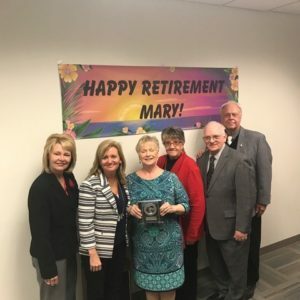 Several of the Board members attended Mary Aikens’ retirement luncheon at CBP’s office earlier this week on Tuesday, March 21st. Those of you who attended our Holiday Party 2016 recall that we honored Mary with the Gene Nikliborc Outstanding Service Award. At the luncheon, it was our great pleasure to honor Mary with an engraved world clock to commemorate the award. Mary started her career in 1975 at headquarters and then moved to Chicago in 1977, where she served as an inspector in both Cargo and Passenger Processing. In January of 1989, she left the uniformed job and transferred to the Port of Chicago District office, where she served the next 13 years as Deputy Entry Officer. 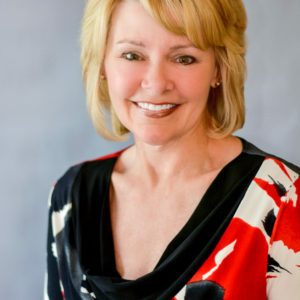 In 2002, Mary became Chief Entry Officer and served in this role until her retirement very soon. 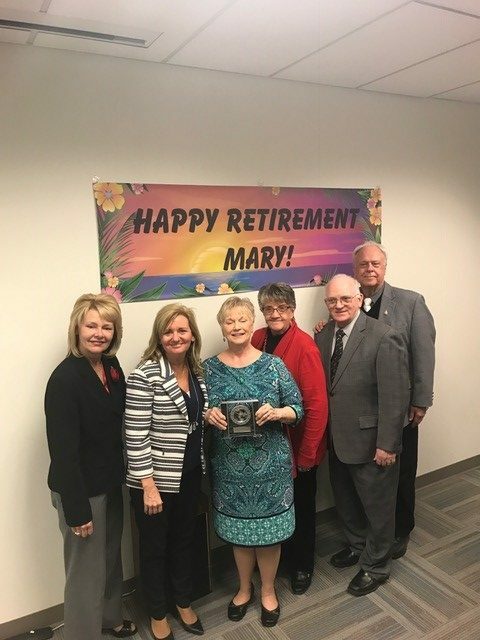 We are honored to have experience Mary’s service, knowledge and friendship over the years and wish her the best in a relaxing retirement!